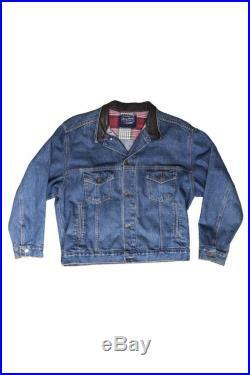 Final salevintage denim jacket - oversized - measurements below. Tone/color may appear differently on your screen. 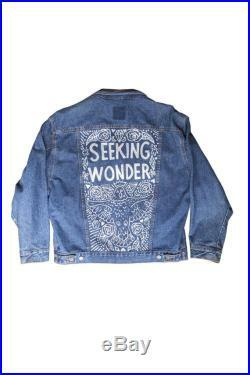 Seeking wonder - painted by hand using high quality denim paint and dye. Measurements:chest - 24waist - 22shoulder - 22length - 26.75sleeve - 23.75.